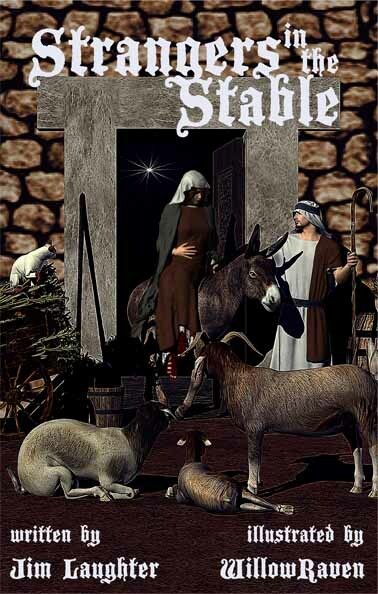 Strangers in the Stable is a telling of the nativity from the viewpoint of the animals in the stable on the night of Jesus' birth. Please click on this cover to order your copy. Published by 4RV Publishing in Edmond, Oklahoma, this wonderful children's book is fully illustrated so your children and grandchildren can love and enjoy it for many years. It is in full 3D graphics (no special glasses required) throughout the book and is an inspirational reading experience for young and old alike. Click on the cover to visit 4RV's bookstore to order you copy. Order several copies and give them as gifts. 4RV will ship individual copies to different addresses at no extra charge. 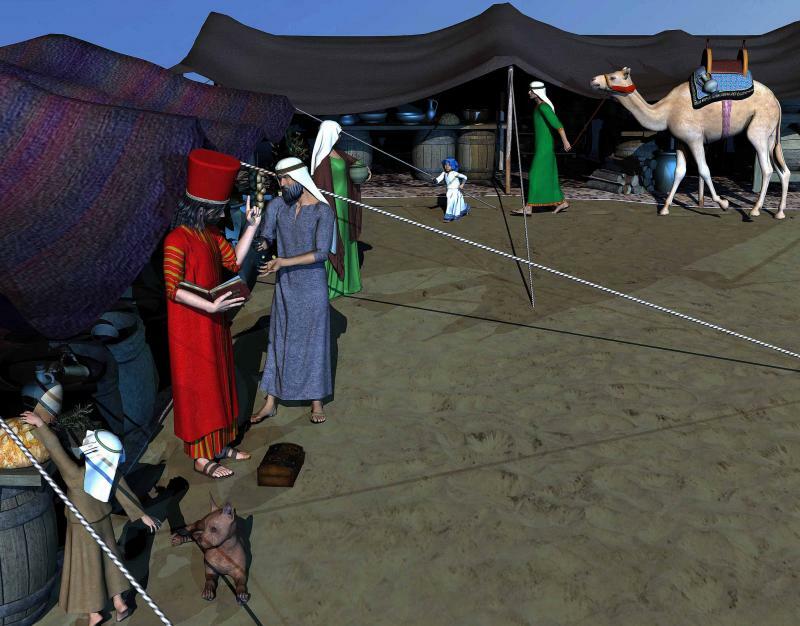 The people pay their taxes in Bethlehem. Mary and the newborn baby Jesus. 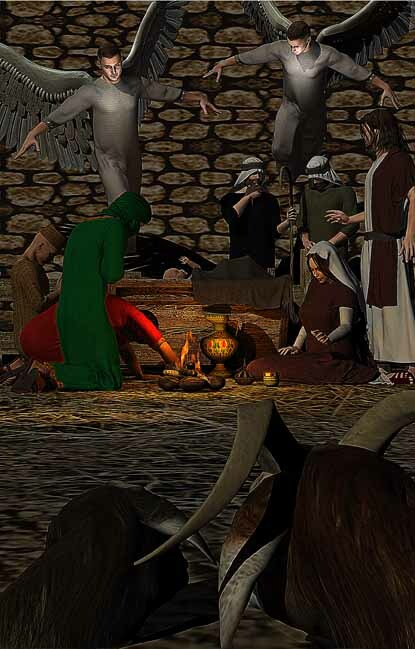 Heaven and Earth worship the the Christ child﻿.